Hello, Hello! Thank you so much for voting for your favorite animal. 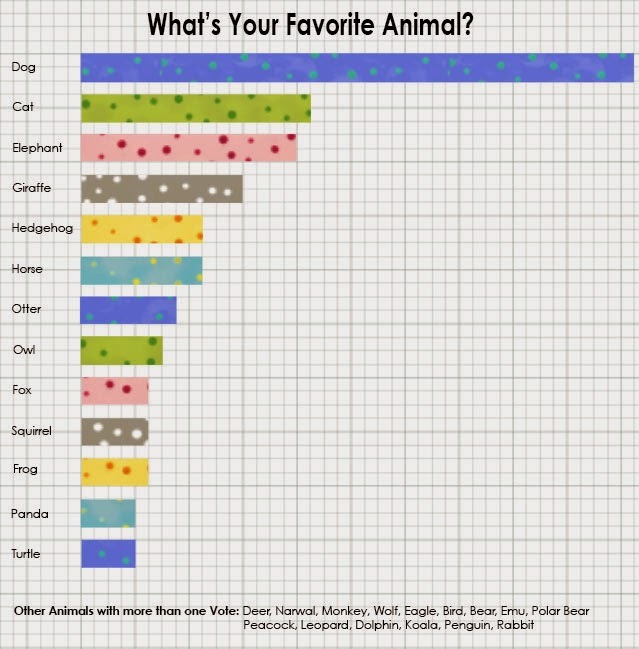 I got loads of votes and as promised here are the results of the What's Your Favorite Animal Survey? Dogs were the overwhelming winner, and I think I would agree dogs are my favorite as well. You were probably figuring out why I was asking this question as well, there are some more animal patterns in the works. I gave you a little sneak peek above. When I design patterns, I have to sew them to see them. Every now and then I can draw a pattern out and it actually turns out how I imagined, but most of the time I have to sew it and design as I go. 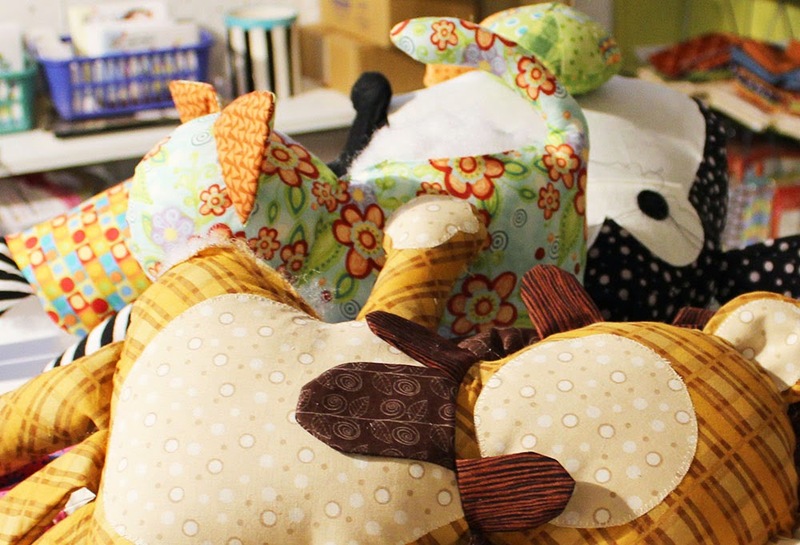 I have a giant tub of animals and other patterns I have started over the past few years. Sometimes I have to let them sit awhile before I know how to move on with it.